How much is Curtis Armstrong Worth? 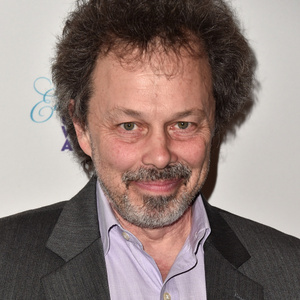 Curtis Armstrong net worth: Curtis Armstrong is an American actor who has a net worth of $2.5 million dollars. Curtis Armstrong was born in Detroit, Michigan, and graduated from Oakland University. He began his professional on-camera career in the early 80s with a small role in the film, "Risky Business". However, it was his performance as Dudley "Booger" Dawson in the 1984 film, "Revenge of the Nerds", that made him a household name. From there, he went on to play a recurring role on "Moonlighting". Since the late 80s, he has gone back and forth between film and television roles. He has appeared in such film projects as, "Better Off Dead", "Jingle All the Way", "Dodgeball: A True Underdog Story", "Ray", "Akeelah and the Bee", "Southland Tales", "Smokin' Aces", "Sparkle", as well as "The Revenge of the Nerds" franchise. He has played guest-starring or recurring roles on such shows as, "Felicity", "That '70s Show", "iCarly", "House", "Rules of Engagement", "The Closer", "Bones", "Supernatural", and "Hot in Cleveland". He is also the voice of Snot on "American Dad". He is next slated to co-host a new reality series called, "King of the Nerds".